Service, Quality and Reliability are the focus to ensure customer service satisfaction. At Torres Lawn Care and Snow Removal, it is our primary goal. Call us at tel:+12692178465 or contact us. 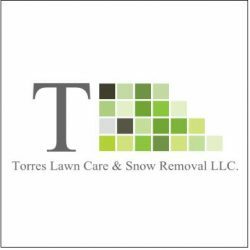 Torres Lawn Care and Snow Removal is a full service company that has been providing the area with high quality, dependable service for over two decades. Lawn Maintenance – services provided April through October. Weekly mowing, trimming, blowing off of sidewalks and driveway, edging of sidewalks, curbs, and driveway. This service also includes leaf clean up of lawn areas during October. Landscaping – we can do anything from refreshing your mulch to designing a whole new landscape concept. Free estimates are always available and we offer a variety of appointment times to make it easy on your schedule. Landscape Maintenance – we offer pruning and trimming multiple times a year, weeding on a bi-weekly basis, and both spring and fall clean-ups to keep your lawn looking fresh and healthy. We can activate your sprinklers in the spring and winterize them in the fall for a truly complete lawn care experience. Bush Hogging & Forestry Mulching – spring is the best time of year to get your property under control. We specialize in reclaiming property lost to weed brush and vines. From one time call outs to long term property management. Whether you need snow removal services for your home or business, Torres Lawn Care and Snow Removal has you covered. We have been in business for more than 4 years and we continue to service the Kalamazoo and Portage areas with snow removal services as well as their landscaping needs. We are insured, and our team is properly trained. We make sure we have plans in place for reliable and fast snow removal no matter how big the storm! Professional equipment and careful training will keep your surfaces clean and safe from winter snow and ice. Call us at (269) 217-8465 with any questions you may have. Call us at (269) 217-8465 with any questions you may have or if you requesting a free consultation. We are a local business that provides lawn care, landscaping and snow removal to the Greater Kalamazoo/Portage Area. You ca rest assured that we will go above and beyond make sure you are 100% satisfied with our work.